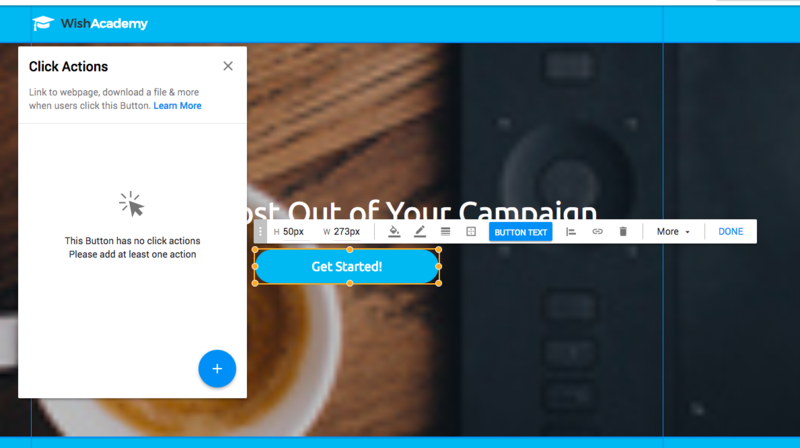 A mailto click action on a landing page makes it easy for your visitors to reach out to you via email in a single click. 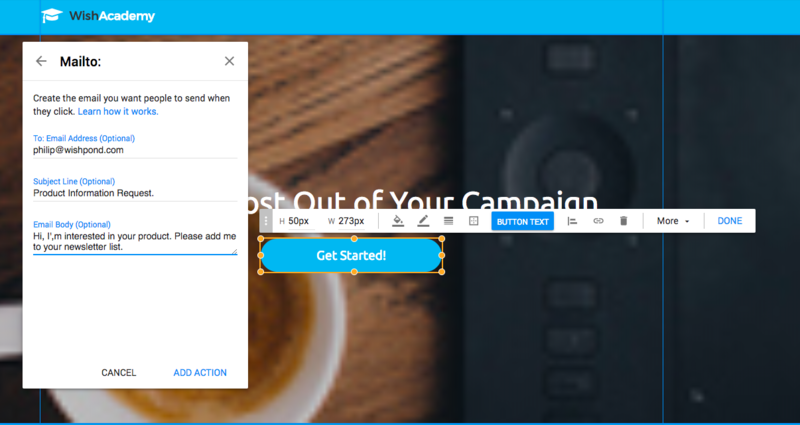 To get started, select any button, icon, or an image on your campaign and choose click action. 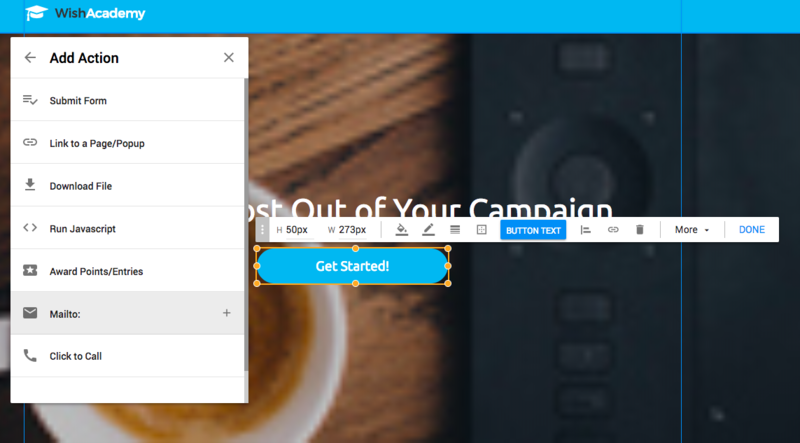 This will open a new tab where you can customize your click actions. Click the blue plus icon on the tab to add a new click action. Select mailto click action to proceed. 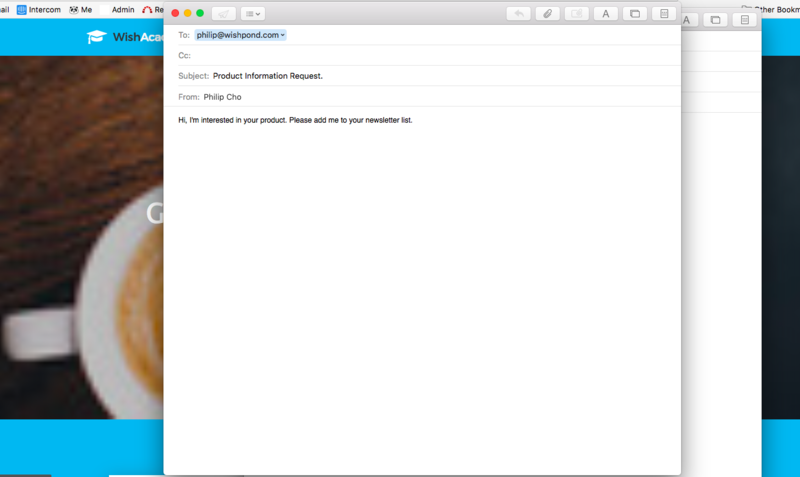 Now, enter your email address, and customize subject line and email body. Click "add action" when you are done customizing. When I activate the click action on the live page, it immediately opens my email with the content that I have added on the mailto click action like the following.